There is some truth to the comment about the ps1 that plays video CDs. The video CD format was and is most popular in China where VHS never caught on because of the humid weather and I'm guessing lack of Centeral Air so the affordability of VCD, ability to work in humid weather and ease of piracy it caught on. 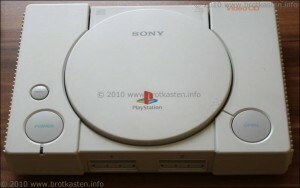 Sony released a model of the ps1 that is capable of playing VCDs. 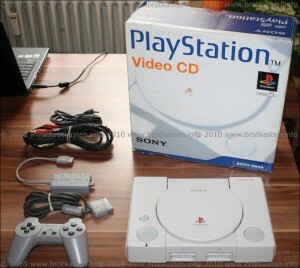 The SCPH-5903 is a white Playstation and an orange "Video CD" in the back right corner denoting it's awesome ability to play VCD movies. I checked youtube for some information and only found one video, showing the swap trick. I messaged the uploader and asked if he could take some pictures as even pictures are kind of scarce. He let me upload some of the pictures off of his article provided I link back to his video and article on the piece which I'm more than happy to do. check out his video and his piece about the VCD playing Playstation.